It’s common to experience changes in sleeping patterns as you age, but getting the right amount of high-quality sleep is just as important as ever. Unfortunately, many seniors don’t get the seven to nine hours of sleep they need for optimal health. If you’re struggling to sleep at night and are ready to make a change, these tips are for you. A regular bedtime trains your body to prime itself for sleep. When your body senses bedtime is near, it releases sleep-inducing substances that make you tired. When it’s time to wake up, those substances shift to create feelings of alertness. If your sleep schedule is erratic, it’s harder for your body to fall into a pattern. This leads to difficulty falling asleep and daytime drowsiness. Keeping a regular bedtime ensures you have enough time set aside for sleep and improves the quality of your rest. Good sleep starts with a comfortable bed. If your mattress aggravates pressure points and keeps you up at night, it’s worth spending money on a better mattress. For seniors seeking relief from back pain and pressure points, a medium-firm to firm queen mattress made from memory foam, gel foam, or latex is a good choice. Exercise is important for seniors for many reasons, and its impact on sleep isn’t the least of them. In one study from the National Institutes of Health, exercise was reported to help seniors fall asleep faster, get more deep sleep, and experience fewer nighttime wakings. Incorporate physical activity into your daily routines but avoid evening exercise if it leaves you too alert for sleep. A nap is a great way to perk up when energy lags midday, but it’s possible to have too much of a good thing. According to Qunomedical, “Research investigated several benefits of napping, including better focus, improvement in mood and performance. However, naps should not be longer than 30 minutes: the longer the nap, the higher the risk of falling into a deep sleep, making it very hard for you to wake up.” Napping too much during the day also reduces nighttime tiredness, leading to an unhealthy cycle of nighttime restlessness and daytime fatigue that keeps you from making the most of your days. Limit naps to one 30-minute nap per day in the early afternoon to avoid disrupting nighttime sleep. Your bedroom should be a sanctuary of sleep. But if you watch TV or work in bed, those distractions interfere with your ability to relax at night. 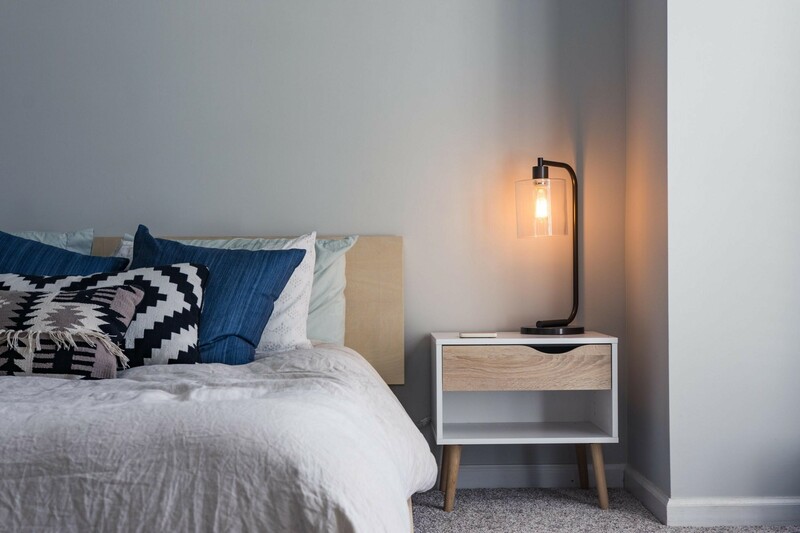 Limit bedroom activities to sleeping and connecting with your partner for a more restful sleep environment. Blue light emitted from devices like televisions, smartphones, tablets, and computers is known to disrupt the body’s circadian rhythms, leading to poorer-quality sleep. Turn off the technology a couple of hours before bedtime and opt for relaxing activities like reading, writing, crafting, or listening to audiobooks instead. If you’ve made changes to improve your sleep and are still suffering with insomnia, there could be an underlying medical cause. Some physical and mental health conditions contribute to poor-quality sleep, as do certain prescription medications. You could also have a sleep disorder such as sleep apnea or restless leg syndrome interfering with your ability to fall and stay asleep. If your efforts to get better sleep aren’t working, it’s time to talk to your doctor to uncover the reason behind your insomnia. You can’t afford to miss out on sleep. Poor sleep is associated with weight gain, cardiovascular problems, declining cognitive function, weak immune response, and a variety of other health problems. If you want to enjoy the best health possible as you age, improving your sleep is a must.